Excessive grease buildup in your restaurant exhaust system is a serious fire hazard. 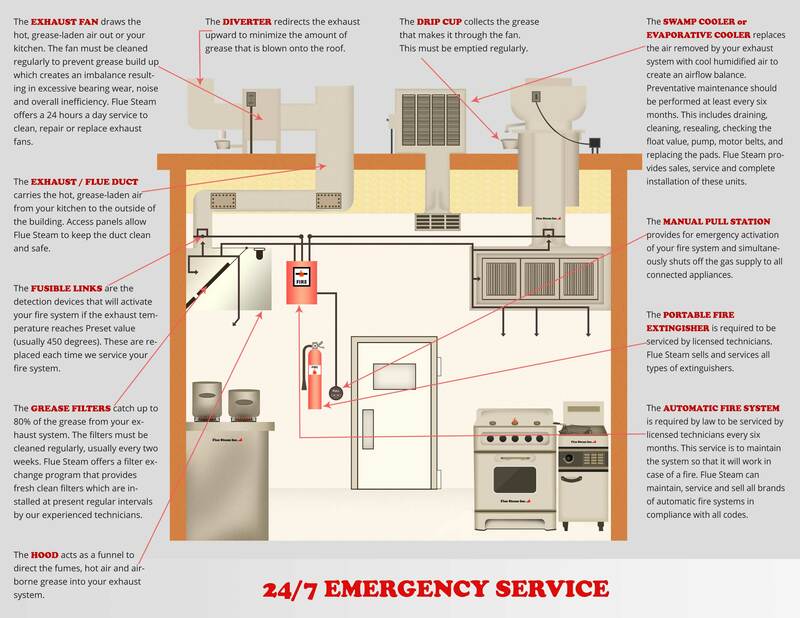 You could get hit with a fire code violation or even lose your kitchen to a fire. At Flue Steam, we have decades of experience in the specialized field of commercial kitchen exhaust cleaning. We know what NFPA code inspectors are looking for and we know how to make them happy. 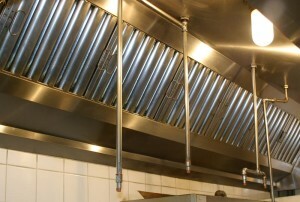 All you have to do is call us now for expert restaurant kitchen exhaust cleaning in Pasadena CA. We offer two methods of restaurant kitchen exhaust cleaning in Pasadena CA, hand scraping and steam cleaning. Most kitchens will need their exhaust hoods scraped by hand every month and their entire duct system steam cleaned every 3 to 6 months. Exhaust fan inspection: Every restaurant kitchen exhaust cleaning in Pasadena CA includes a free fan inspection to help ensure this vital part of your exhaust system is working properly. Have you fallen behind on your restaurant kitchen exhaust cleaning in Pasadena CA? Don’t worry. We can have a crew at your restaurant ASAP. Please call 800-700-FLUE now to schedule service.